Here is a bicycles-only parking garage. 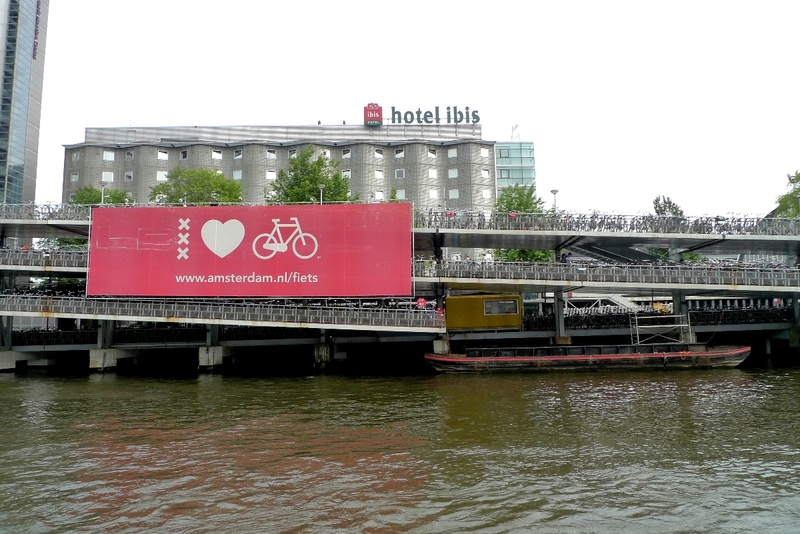 The sign says, "Amsterdam Loves Bikes". 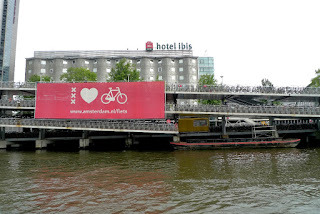 From the looks of it, bikes love Amsterdam, too. This is the parking garage at the central railway station with its connections to trains, buses and water transport. Bicycle parking fee: € 1.20 ($1.50) per day. Pretty steep, but hey, this is Amsterdam. There are a few handicap-access car parking spots close to the Ibis hotel. And the general parking garage for cars is on the other side of the water from the station; rates are €55 ($70) per day. The word "punitive" comes to mind. I parked my bike there for years when I studied there, believe me: it's free.